My day job (You know, the one that pays the bills) has been hectic and much more time consuming this year than in previous years, so my apologies for the sporadic postings. I love blogging and interacting with you guys and all my new virtual friends. Unfortunately though, the blog is the first thing to go to the back burner when time gets tight. I'll just be taking it one day and one blog post at a time! I hope you'll bear with me. Oh, and by the way, if you're interested in having new posts from Woodbank Lane come to your inbox, you can sign up here. 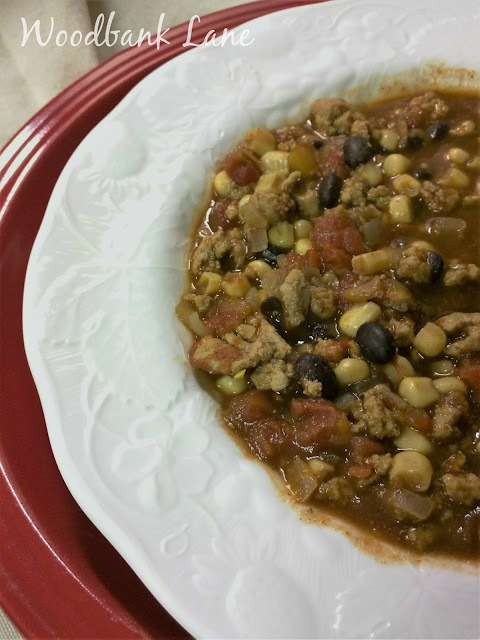 Now, on to Turkey Taco Soup. I've told you before how I use and really like the My Fitness Pal app. A little more about it here. That's where I found today's recipe. I was excited to come across it because I'd had all I could take of sandwiches for lunch during the work week and wanted something hot but healthy and low calorie. This was perfect. I've changed a few of the ingredients to tailor it to my taste. In a large soup pot, heat the olive oil over medium heat. Add the onion and minced garlic. Cook these until softened, then add and cook the bell pepper. Next, add the ground turkey and cook until browned. Stir in the taco seasoning, and add the tomatoes, beans, corn and chilies. Bring the mixture to a boil. Reduce heat and let the soup simmer until ready to eat. I added a plop of sour cream to mine, and I ate it with a small Verolé tortilla shell (81 calories). The soup, according to the My Fitness Pal blog "Hello Healthy," has 297 calories in a two-cup serving. Not too bad for a meal. 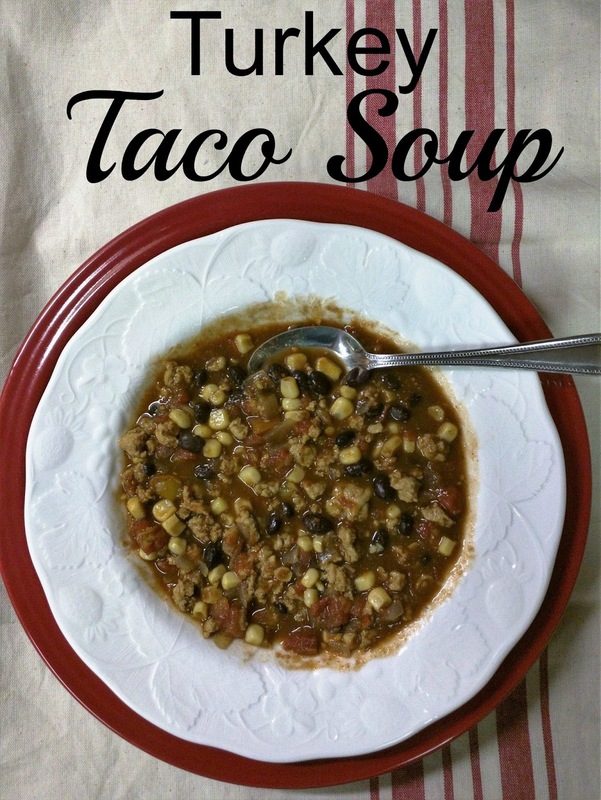 If your people are soup eaters, I bet they will love this one. Enjoy!